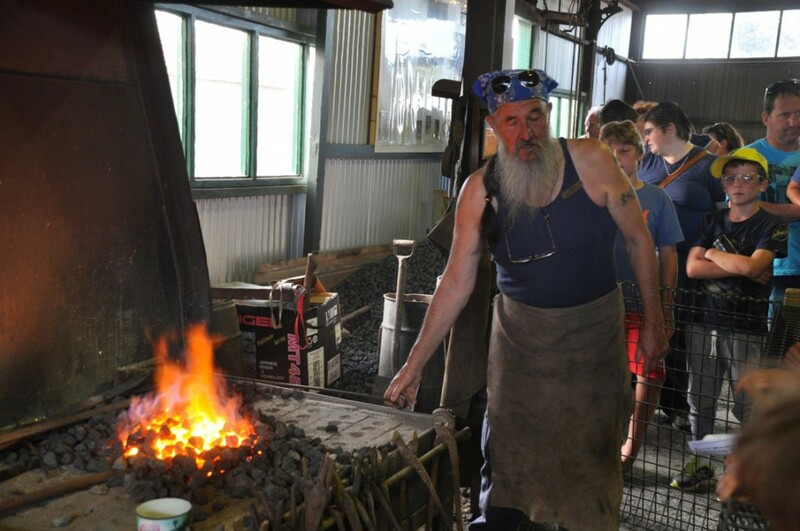 The quiet Eyre Peninsula town of Tumby Bay was literally humming on the Friday night of January 8 as the Excell Blacksmith and Engineering Museum was open for our recent annual “Twilight Tour”. 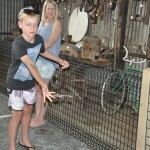 The Twilight Tour is a special opening to suit our many visitors to Tumby Bay during the busy January holiday period. 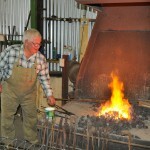 On a balmy summer’s evening after various holiday activities such as fishing amongst the beautiful St Joseph Banks Group of islands or the Scripture Union Family Mission and then VacSwim lessons for the kids, many families found their way to this well-kept, working museum of blacksmithing and historic engineering technologies. 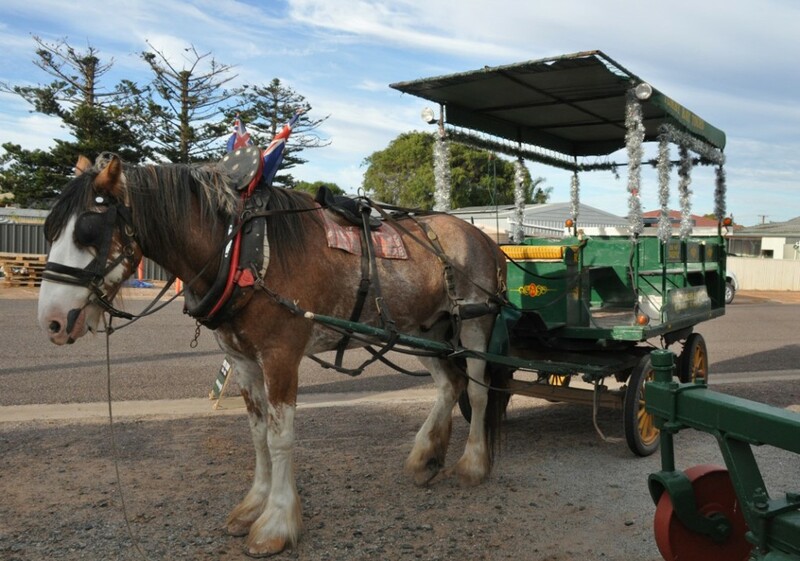 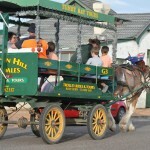 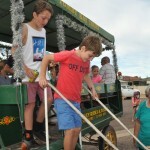 Some were lucky enough to have a free return trip on Ross Story’s horse and cart from the caravan park, while others enjoyed a pleasant walk, enjoying the beautiful summer evening weather in the delightful township of Tumby Bay. 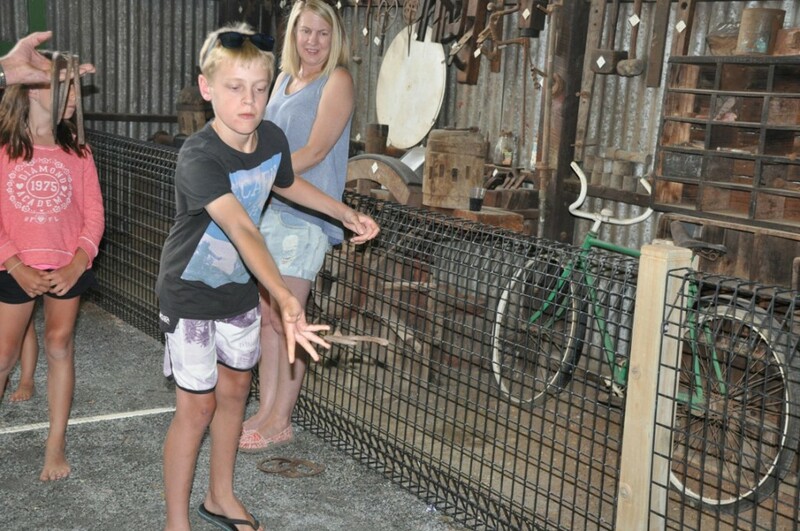 Upon an entry admission of a gold coin donation, our 100 visitors that night were treated to a free soft drink and an opportunity to take part in a horse shoe throwing competition. 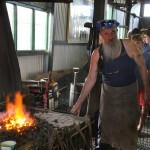 Of course, the main attractions were to observe the working of the coke-filled forge and the demonstration of various old machines and blacksmithing techniques. 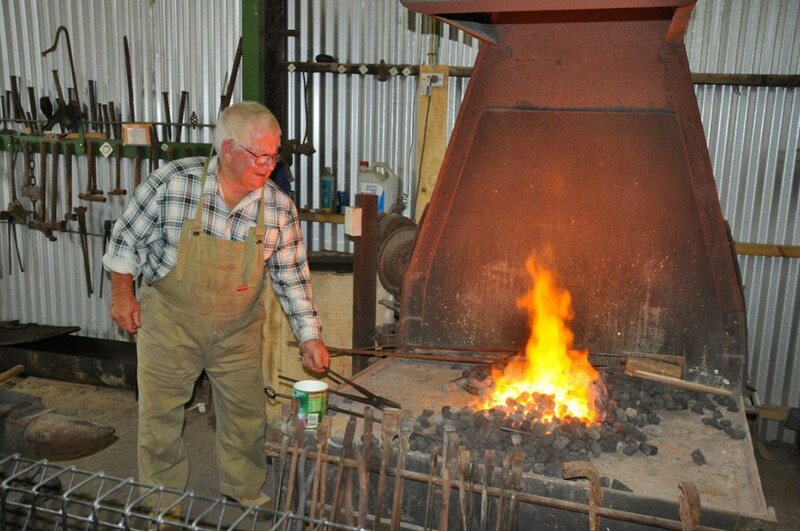 The smells and sounds of yesteryear filled the large workshop as the blower stoked the forge fire while the flat belts flapped and pulleys whirred overhead. 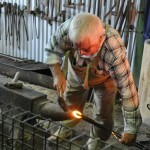 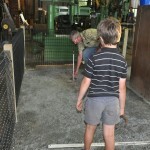 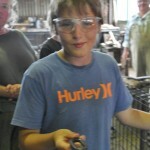 One lucky young lad was even given a “hands-on” lesson in forging a wrought iron gum leaf himself! 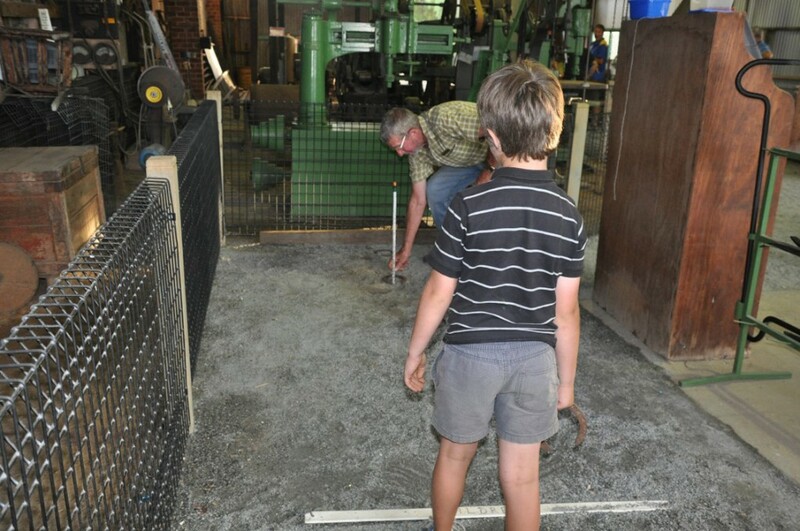 Not only was our group of visitors satisfied with their evening of “hands-on history” but so were the small band of volunteer tour guides with such a good attendance and a fun time chatting to all of our keen visitors. 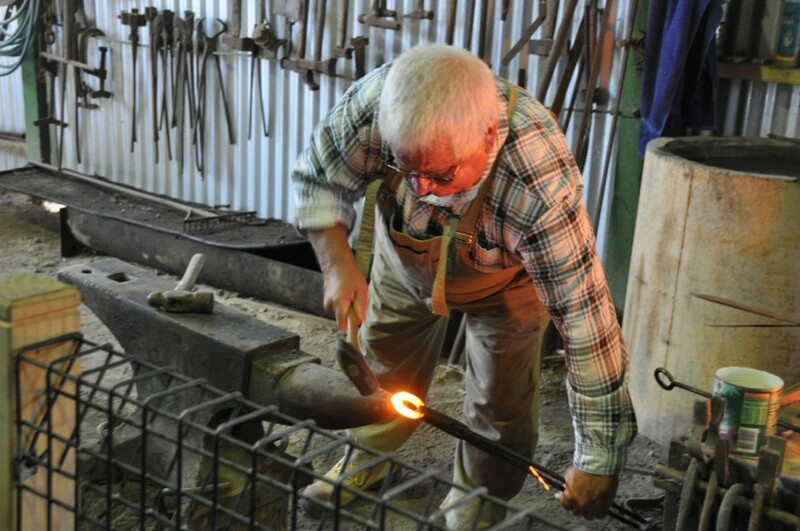 Of course, if you missed the Twilight Tour, you still have an opportunity to see the Excell Blacksmith and Engineering Museum in action every second and fourth Sunday afternoon during the warmer months. 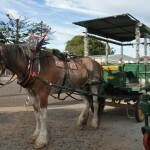 Definitely be on the list of things to do when we visit, sounds well organised and fascinating. 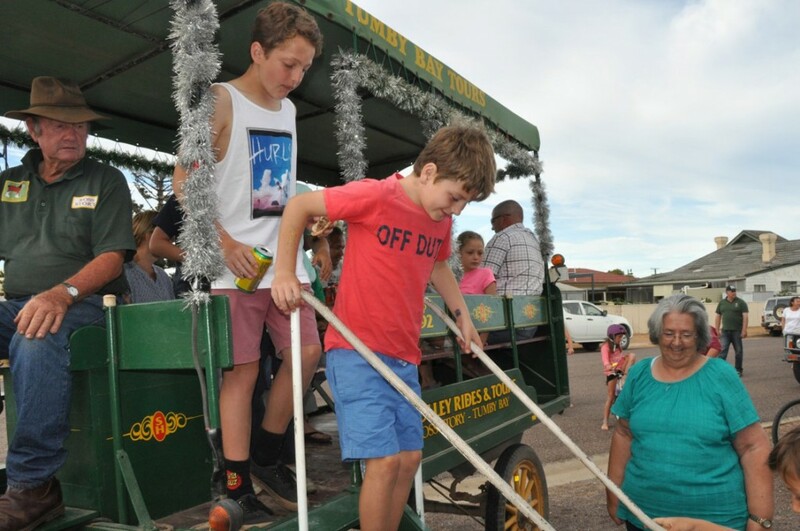 Thanks for the response Nerilie. 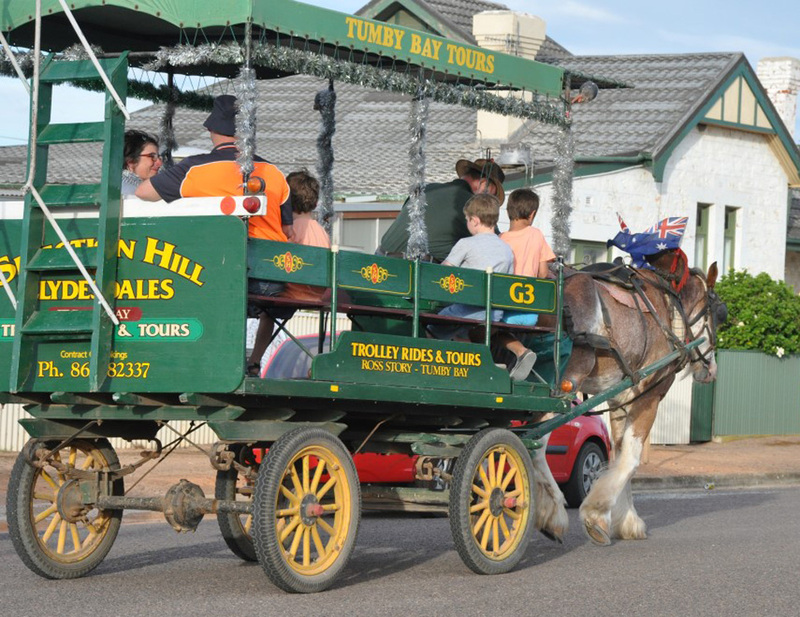 Be sure to call to arrange a tour if our regular times don’t suit you when you are in Tumby Bay. 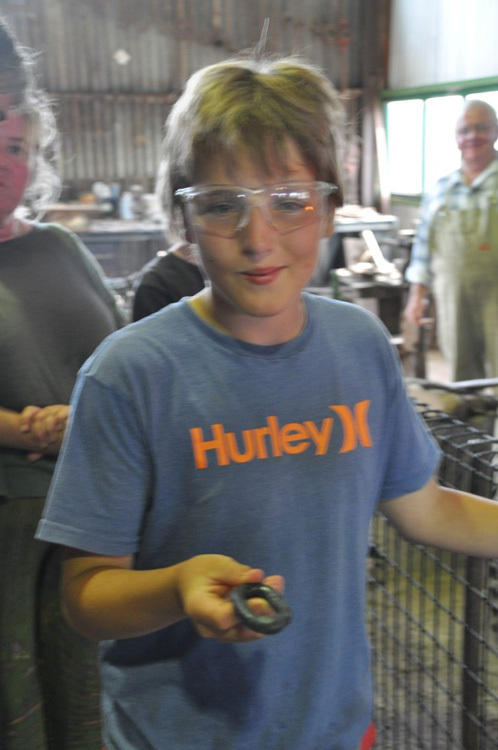 We have committee members who are available and very happy to show people around at any time.